Recent rumors shed a little bit more light on Apple's AR/VR plans. A new report from CNet claims that Apple is working on a standalone combination Augmented Reality and Virtual Reality headset, currently code-named T288. The product isn’t expect to be released until 2020. CNet’s source is “a person familiar with Apple’s plans,” but we should note that Apple’s plans could, of course, change over the next two years. The report echoes a Bloomberg report from last year, which said Apple was aiming to release an AR headset in 2020. This new report offers a few interesting new bits of information, however. 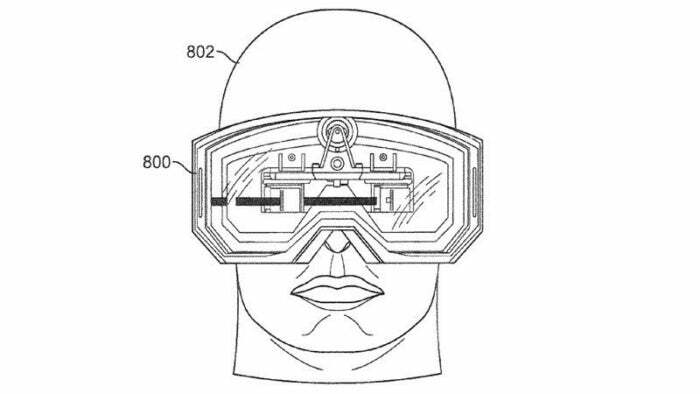 First, the headset would combine both AR and VR capabilities. There are a few ways to accomplish this, from using a fully opaque headset like current VR products and using cameras to capture the outside world, to using a headset with a view area that can switch from transparent to opaque. We don’t yet know how Apple will pull off switchable AR/VR. Second, the CNet report gives us a few new technical details. It says the headset will offer a staggering 8K resolution per eye, which is many times higher than the best VR headsets today. It’s hard to imagine how Apple would power this sort of resolution at the frame rates necessary for VR, even using powerful future graphics processors, without using foveated rendering, so we might assume eye-tracking is built in, too. The unit would be powered by a separate base station that contains a custom Apple processor “more powerful than anything available.” Currently, this main box is said to resemble a PC tower, but we don’t know the final form it will take. CNet’s tipster claims it will not be a Mac computer, but would rather run a new operating system. Apple’s custom processor will be made on a bleeding-edge 5nm manufacturing process (the current state-of-the-art is around 10nm, with 7nm coming soon). This means Apple could put three to four times the computation power into the same area as it does on its A11 chip. Apple is said to use a wireless connection, based on the 802.11ay standard (the upcoming second-generation 60GHz WiGig technology), to connect the headset to the base station. This means the headset would not be something you would wear around town, but you could walk around your house with it. The story behind the story: Apple has been bullish on augmented reality, with Tim Cook often stressing the huge impact the technology will have. It has been less bullish on virtual reality, but there is enough overlap between the technology that drives both AR and VR that it makes a lot of sense for them to converge. Apple has been hiring AR/VR experts and buying promising AR/VR related technology companies over the last few years. Clearly, it’s up to more than just the continued development of ARKit for iPhones and iPads. This latest report offers a lot of new insight and details, but leaves us with just as many questions. How will you interact with virtual objects, for example? Will you hold a controller or will it use hand tracking technology? Would this custom chip be the same one Apple is reportedly devleoping for Macs? (CNet’s tipster says it will be similar.) How could something like this possible be sold at a reasonable price? 2020 is a long way off, and if this report is true, a lot could still change between now and then. It’s exciting to think about Apple working so aggressively on new technology like this, though.